McIlvanney wins crime book of year award – Because in this game of life the more you know the better player you will be. 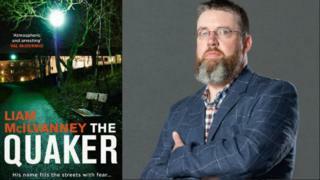 Writer Liam McIlvanney has won the 2018 McIlvanney Prize for the crime book of the year at the Bloody Scotland festival in Stirling. His book, The Quaker, was described by judges as the standout winner of this year’s competition. The prize was renamed two years ago in memory of Liam’s father and author, William McIlvanney. Last year’s winner was Denise Mina for her book, The Long Drop. Among the judges for this year’s competition was comedian and television presenter Susan Calman. She said: “The Quaker is one of those novels that, as soon as I finished it, I looked forward to reading it again. Previous recipients of the prize have included Chris Brookmyre with Black Widow in 2016, Craig Russell with The Ghosts of Altona in 2015 and Peter May with Entry Island in 2014.